Before 90’s, only business persons or Office Workers carried the briefcase to work. After 90’s things started to change and messenger bag was invented. Whoever invented it did the best job because it is very easy to carry anywhere and more versatile. 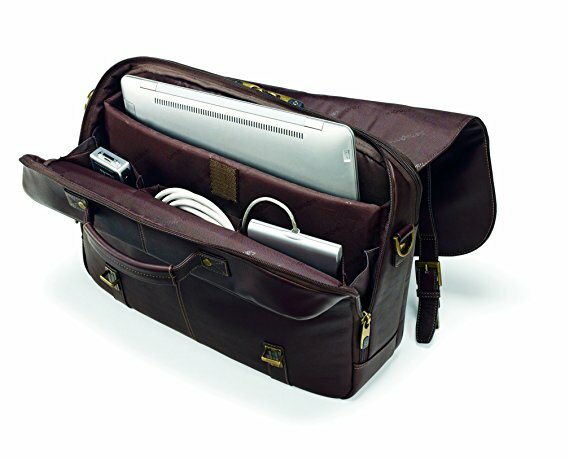 Messengers bags are used to carry Laptops, Tablets, Documents, etc. The best thing about Messenger bag is it looks much better than Briefcases and anyone can use it. 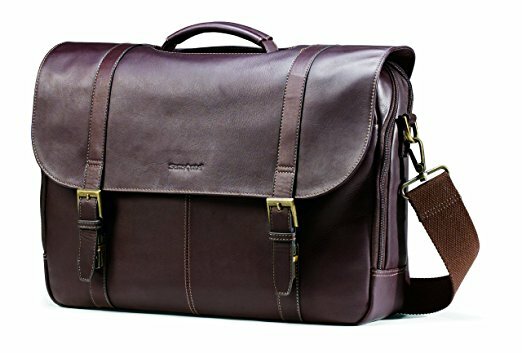 So today in this article, I am going to list out best messenger bags for men. Hope you will like it. These bags come in the variety of choices and are only to use in day to day life since it cannot be used while traveling because it can’t carry the heavy load you want so you can always go for Briefcase or Duffel Bags. What is the use of Messenger bags? A Messenger bag is also known as Courier bag. Nowadays it is also an icon for the urban fashion which is usually made from natural or synthetic cloths. It is worn over the shoulder with a strap that goes across chest resting the bag on the lower back. Some types of messenger bags are called carryalls and smaller bags are called sling bags. It can be used as Courier bag, Mailbag, School bag, Laptop bag, Diaper bag(smaller backpacks). If you are looking for canvas messenger bags to buy then you are at right place. 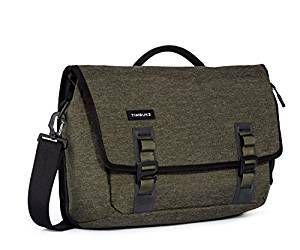 In this article, we have picked some of the top messenger bags for men to use whether while traveling by bike, car or plane. This includes best leather messenger bags and also best messenger bags for college. 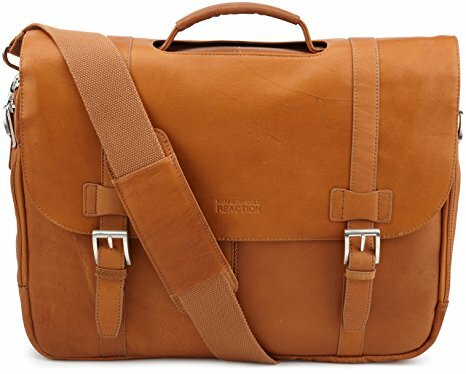 This Samsonite Leather Messenger is one of the most reviewed bags with 1800+ reviews on Amazon with an average rating of 4.4 which proves that this bag is very reliable. Samsonite is also best luggage brands in one of our articles. Also, front side large compartment has 3 unzippered pockets that are about 5″ wide, 7.5″ deep and 1″ thick. 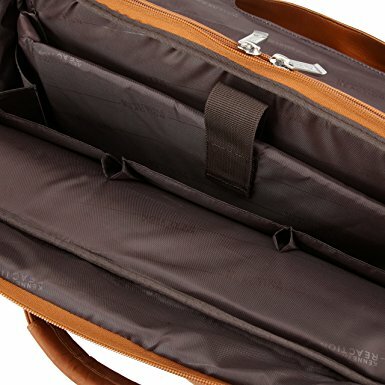 Larger compartment has a middle divider to put a laptop and is only made for 1 laptop but you can easily put 2 15″ inch laptop in this compartment. This is one of the best leather messenger bags I have come across. This bag comes in 3 different colors namely Brown, Black, Black/Chrome. The leather is soft and will age as per usage but the quality of the leather is very high. Peak Design is a very reliable brand in making products that keep your gear protected, organized, and easily accessible. Peak Design Everyday Messenger bag is more than just innovative and shoulder bag in its own way. This bag is best for photographers and also useful travelers, commuters, etc. You can easily fit 15″ inch laptop in it and at the front side, there are 3 shelves which can be used to carry 3 camera lenses or you can customize storage dividers to put a camera in it. 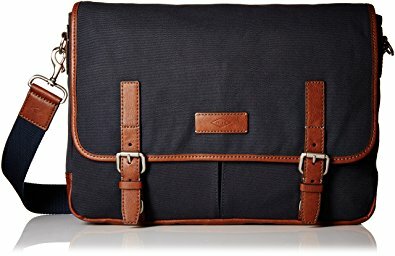 This Everyday messenger bag is also the best messenger bag for laptop. There is also backpack version of Everyday Messenger. This bag comes in 3 different colors Ash, Charcoal, Heritage Tan. It has 2 different sizes 15″ inch and 13″ inch. 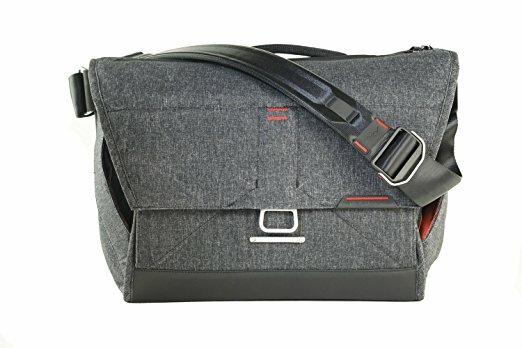 The only drawback of this messenger bag is that it costs around 250$. Easily fits 15″ inch Laptop, full-frame DSLR with 3 camera lenses and accessories. Magical Mag latch clasp system with two shoulder straps. 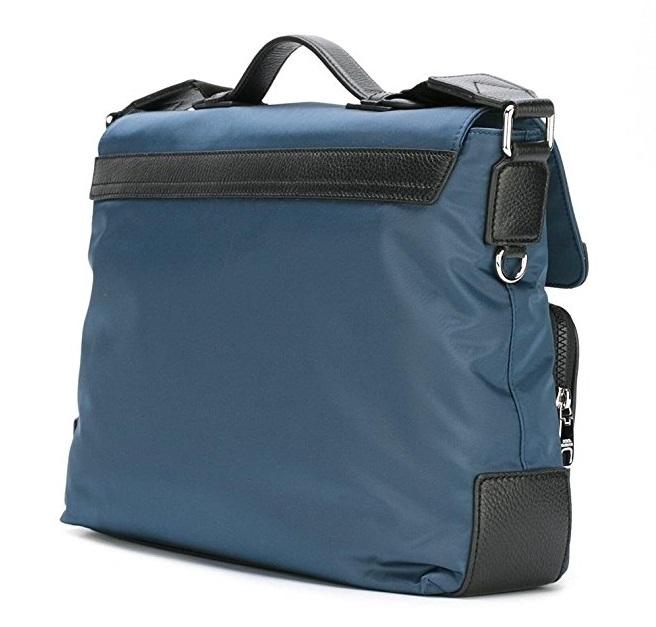 Kenneth Cole Risky Messenger bag is one of the famous messenger bags in the line of Kenneth Cole messenger bag. It is suitable for every Businessman. It is made of cowhide leather and it has a fully lined, single stitched interior. It looks great in sweatpants or business suit. The bag can be carried by handle or shoulder strap. The shoulder strap is adjustable. It can easily fit 15.6″ inch laptop and has 3 opened pockets. The Rear compartment can be used for keeping documents of A4 size. 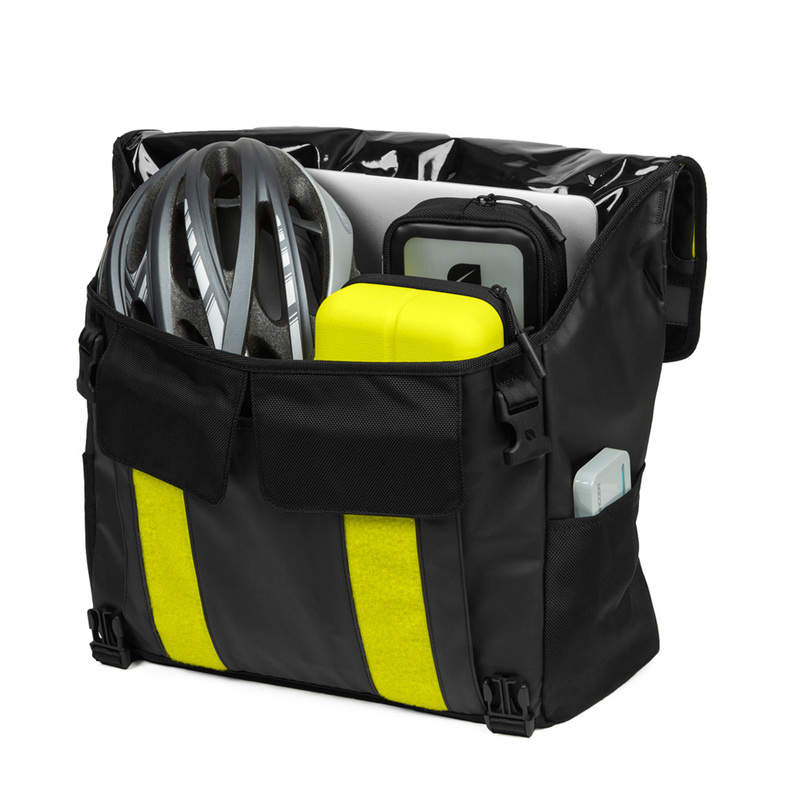 The bag has the rear compartment which is easily accessible so it is perfect for items that you regularly use. This bag comes in 5 different colors Black, Dark Brown, Reg Black, Rag Brown, Tan. The bag has only one size 16″ inch. Dimensions: 16″ W x 12.5″ H x 4″ D. Weight: 4.8 pounds. Easily fits 15″ inch Laptop. Zippered Pocket and slots for a pen in the front compartment. 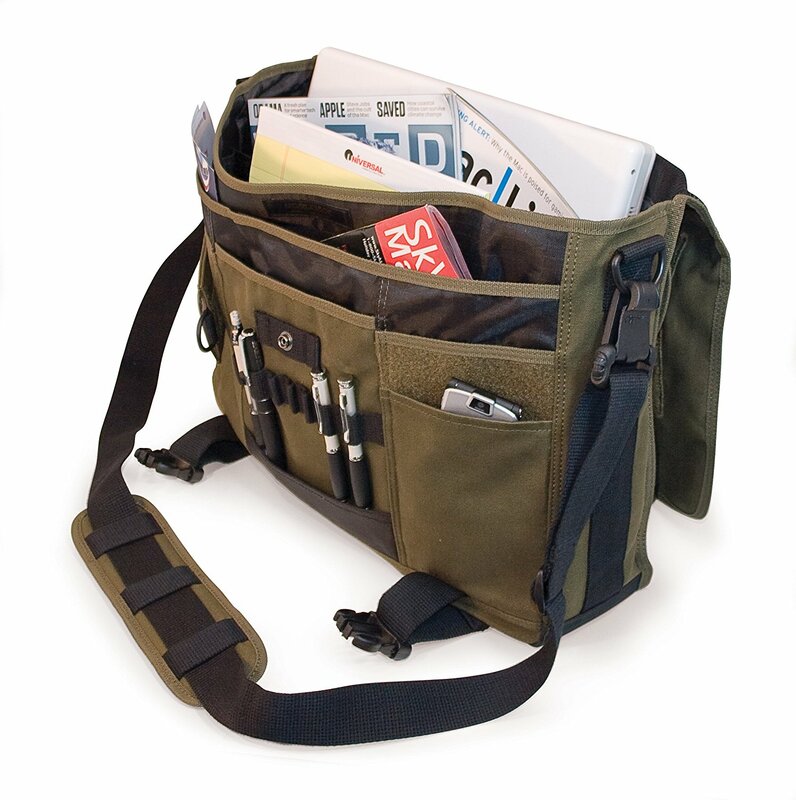 Timbuk2 messenger bag is designed for those who travel very often with electronic equipment like Laptop, Tablet, etc. The bag is also ideal for the active office users. Timbuk2 has highly functional cross straps. The Laptop compartment has laptop holder and iPad sleeve. Timbuk2 has Napoleon pockets that you can access without undoing the flap and getting into the bag. This bag comes in more than few colors including Army, Gunmetal, Red Devil, Jet Black, Midway, Nautical and more. The bag has 3 different sizes 13″ inch, 15″ inch, and 17″ inch. It is TSA Compliant Messenger bag. Dimensions: 17.1″ W x 14.4″ H x 5.1″ D. Weight: 2.4 pounds. Adjustable and padded shoulder cross straps. Zipper pocket on the side. Harwish Men’s Messenger Bag is simple and classic. The Material is hard and rough one. As you can see in the pictures provided it has lots of pockets for your every accessory and electric components. The bag is made of canvas material which is essentially cloth and hence this bag has nice and smooth touch, unlike its plastic parts. This bag is also the best messenger bag to use for college. This bag comes 2 colors Black and Coffee. The bag has only one size 13″ inch. Dimensions: 11.5″L x 4″W x 9.6″H. Weight: 1.5 pounds. Made of high-density cotton canvas. High-quality cowhide zipper and premium leather component. 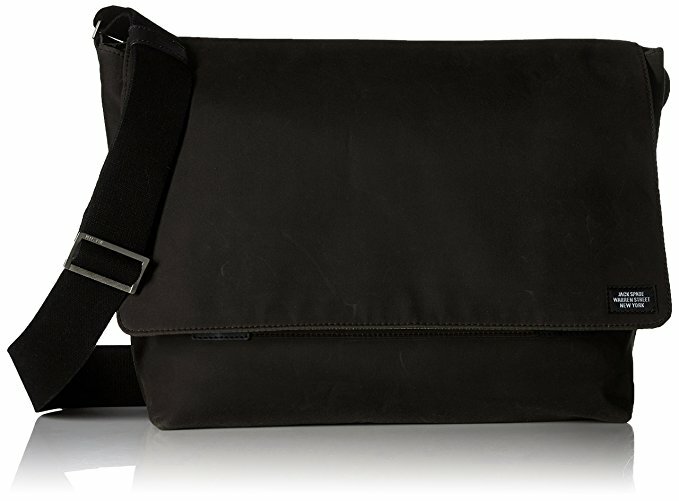 Jack Spade Men’s Messenger Bag is made of water-resistant waxed cotton that makes it rain and snow proof. The bag has outside pocket in the back, a zippered pocket in the front and a pocket inside front has two small pockets and two pen pockets. The main pocket can fit a 15″ inch laptop but this bag was never made to carry the laptop but it cannot protect the laptop. But the inner pocket on the side of the main pocket can easily fir 13″ inch laptop securely. This bag has secured 6th position in our list of best messenger bags for men in 2018. This bag comes in three colors Chocolate, Olive, and Royal Blue. The bag has only one size 13″ inch. Dimensions: 13″H x 17.5″W x 5.4″D. Weight: 3.4 pounds. Easily hold 13″ inch laptop. Made of water-resistant waxed cotton. The shoulder strap is soft, wide and adjustable. 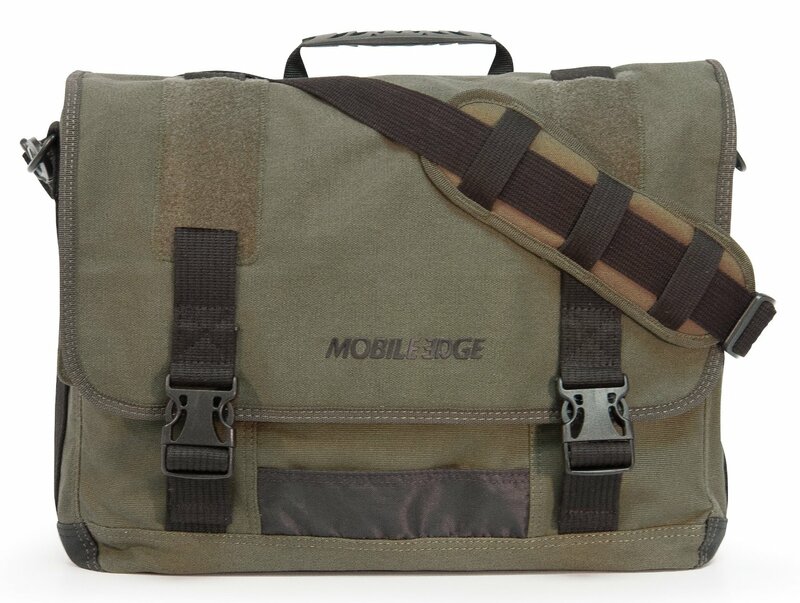 Mobile Edge ECO Messenger Bag is made of natural cotton canvas (Eco-Friendly). This bag is big enough to carry Large textbooks, a big laptop and other small items. It can carry laptops up to 17″ inch very securely. The bag has lots of pockets, it is very useful for day to day use and it is perfect for school. This bag comes in three colors Black, Olive and Navy Blue. The bag has only one size 17″ inch. Dimensions: 18″L x 4.25″W x 13.5″H. Weight: 2.1 pounds. 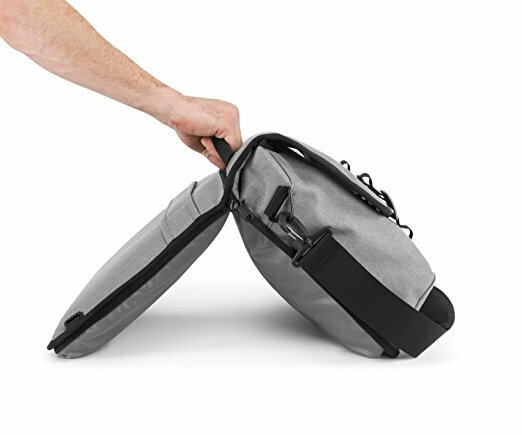 Easily fits laptops up to 17.3 Inch. Made of all-natural cotton canvas. Removable ID Holder with Multiple Anchor Locations. 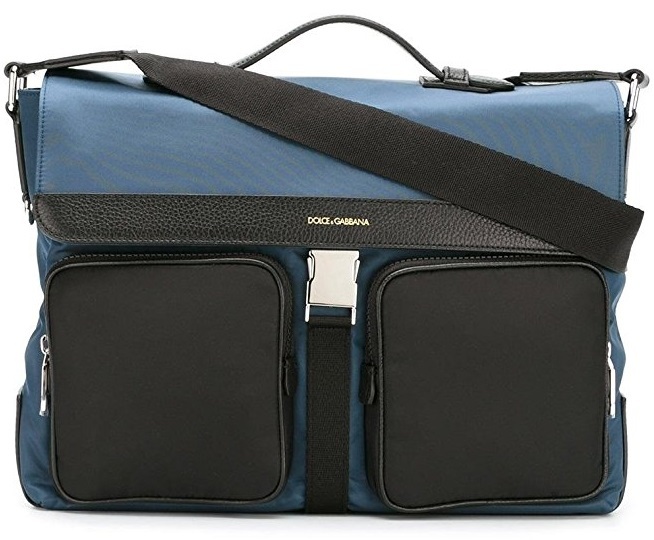 Dolce & Gabanna Messenger Bag is stylish blue and black leather and nylon flap. It features a top handle, a foldover top, a clip fastening, front zippered pockets, and internal zippered pockets with leopard print lining, and adjustable shoulder strap. This bag comes in Blue/Black color. The bag has only one size 14″ inch. Dimensions: 14.6″W x 4.7″D x 10.6″H. Weight: 2.1 pounds. Two frontal patch pockets with zipping. 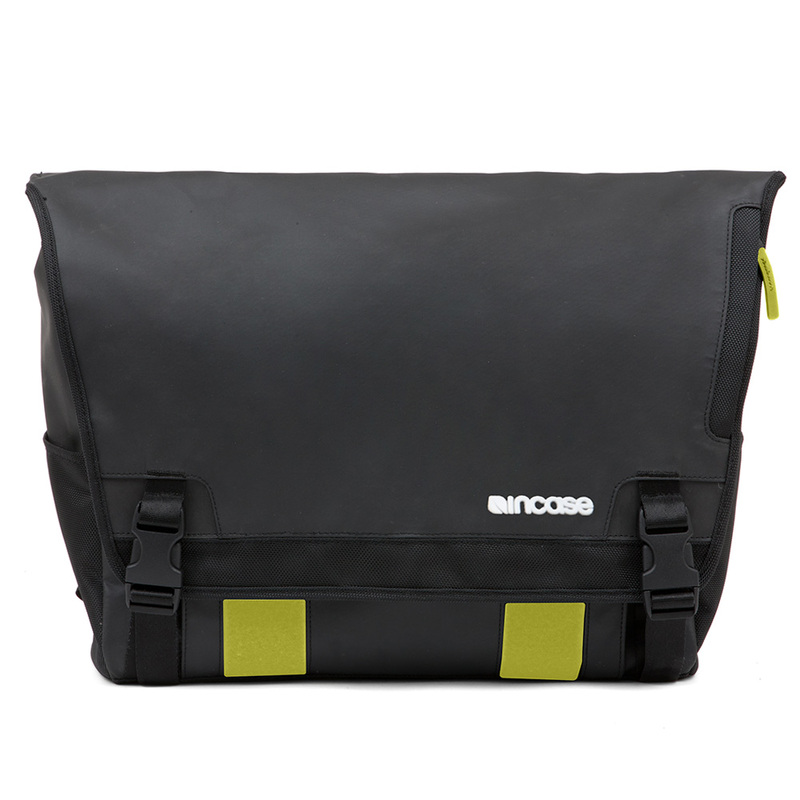 Incase Range Messenger bag is made of polyester and nylon. The bag has padded notebook compartment with plush fleece lining and zippered closure. Zippered quick-access pocket on top flap. Two external slip pockets. It is designed for daily travel and it can comfortably protect your laptop and other essentials. 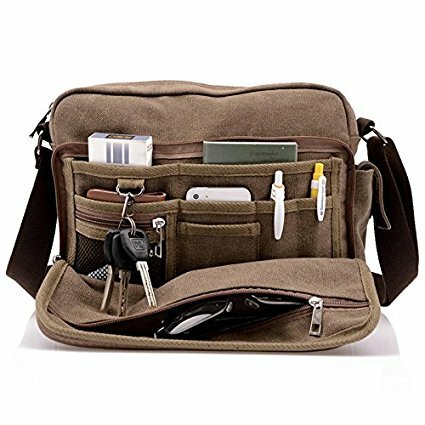 I have to include this bag into our list of best messenger bags for men in 2018 due to its amazing features at the cheap price. This bag comes in Blue/Lumen color. The bag has only one size. Dimensions: 18″W x 6.2″D x 13″H. Weight: 2.5 pounds. Made of 80% Polyester and 20% nylon. Fossil Graham EW Messenger bag is made of cotton. It has laptop compartment, one zippered compartment, and two slip pockets in the inside and one zippered pocket on the outside. Length of the shoulder strap is 54″ inch when it is fully extended. The laptop compartment is big enough to fit 15″ inch laptop in it securely. I would say it’s one of the best laptop messenger bags out there in the market right now. This bag comes in Navy blue and Olive color. The bag has only one size. Dimensions: 15.5″L x 3.5″W x 11″H. Weight: 2.9 pounds. Made of 100% cotton material. 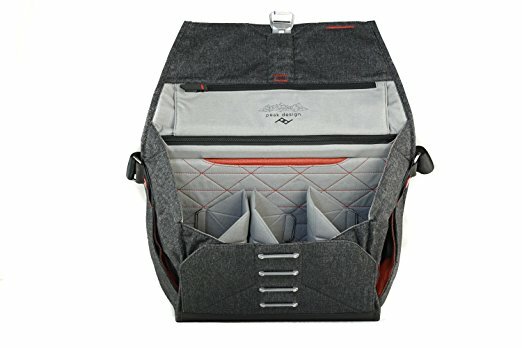 Now you have the list of best messenger bags for men in 2018. I hope you have got some idea to buy the messenger bag. Still, if you are confused with which to buy you can always comment and ask us the questions. 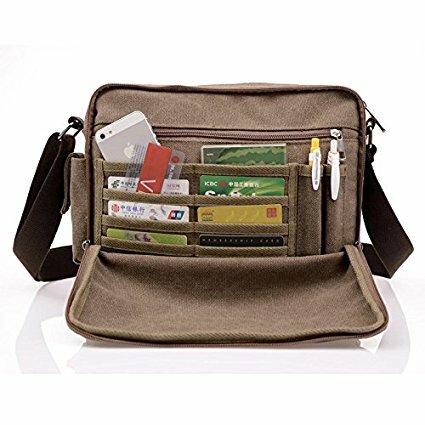 If you think there is also another good messenger bag which you have used or seen then you can mention that bag in the comment section and I will add it to the list ASAP.